As a well established and dynamic estate agency, since 1988 Bonnin Sanso have worked with thousands of clients in the search for their ideal property. Menorcan born Juan Torres and British born Colin Guanaria, lead a team of 40 multilingual staff. Their professional approach and experience, has resulted in Bonnin Sanso becoming the leading agency on the island as far as real estate property is concerned. Bonnin Sanso has more than 3,000 properties on their books, properties which are publicized on their website and are updated on a daily basis. With such a wide selection of property on offer, they can always find something for each and every requirement. The sales staff can quickly prepare a personalized list of property for sale, such as converted farmhouses in the heart of the islands countryside; cosy semi-detached houses snuggling into the narrow streets of the old towns or simply light, sunny apartments or holiday homes only minutes away from the sandy beaches of Menorca. In Menorca Bonnin Sanso has four offices spread over the island. One in Mahón, one in Ciutadella, another in Es Mercadal in the centre of the island, and one in Es Castell. Also in Mallorca, Bonnin Sanso has an office located in Cala Millor, in northeast of the island. 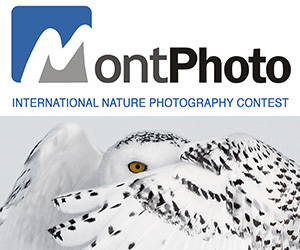 This contest is open to all professional and amateur photographers who are over 16. Charity calendar Bonnin Sanso 2019. The photographs must be of the island of Menorca and inspire a month in particular. Each competitor can submit up to 1 photograph for each month, none of which can have won a prize in any other competition (Fomunity or otherwise) and to which they must hold the intellectual property rights. The title of the work and the name of the winning author will appear on the calendar. Basic digital processing (white balance, exposure, levels, contrast, saturation, focus, vignetting elimination …) and cleaning of particles and moderate cuts be accepted. Image modifications or part/s of it, that would make the photography to reflect a different reality to the photographed not be accepted. Winners and finalists grant “Bonnin Sansó Menorca SL” the non-exclusive rights to publish the winning and finalist entries. These rights are limited to publication on the “Bonnin Sansó Menorca SL” website, blog, social networks and any other medium of “Bonnin Sansó Menorca SL”. The sponsors of the contest reserve the right to publish all photographs submitted, with the sole purpose of advertising the contest, in their social networks, always indicating the title, author and link to the original photograph. You can submit photographs from April 1, 2017 at 00:00 until July 31, 2017 at 23:59. The jury’s decision will be published on the contest webpage on August 15, 2017. For each month there will be a winning photograph. The winners of the photographs of each month will obtain as a prize the publication of their photograph with their name and the title of their work. In addition, the winning photographers of each month will be sent a typical detail of our island; an artisanal ensaimada of Menorca. Works that infringe people’s dignity or human rights will not be accepted. Works featuring any over-texts, watermarks or any frame or indication of the author’s identity (in the photograph, title or description) will not be eligible for a prize. The jury will reject any photograph that fails to comply with these rules. For each month there will be a winning photograph. The winners of the photographs of each month will obtain as a prize the publication of their photograph with their name and the title of their work. In addition, the winning photographers of each month will be sent a typical detail of our island; an artisanal ensaimada of Menorca. Not eligible to enter? - Find contest where you are. COPYRIGHT: The photographers retains the copyright over their works. USAGE RIGHTS: Fomunity reserves the right to use the photographs to show them at the gallery and to announce the winners of the contest in the blog and social profiles. Winners and finalists grant "Bonnin Sansó Menorca SL" the non-exclusive rights to publish the winning and finalist entries. These rights are limited to publication on the "Bonnin Sansó Menorca SL" website, blog, social networks and any other medium of "Bonnin Sansó Menorca SL".